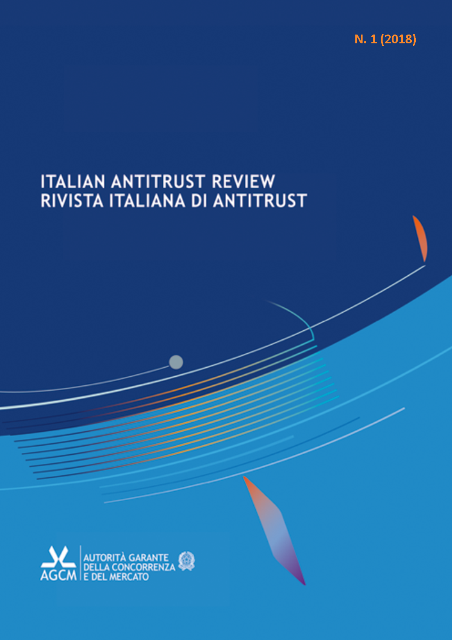 The Rivista Italiana di Antitrust / Italian Antitrust Review (RIA/IAR) is published by the Italian Competition Authority, but it is not its official magazine nor does it represent its policy. It deals with the most important economic and legal antitrust developments, especially Italian and international ones. It thus constitutes a useful and updated tool for operators and scholars, while providing information about the activity of the Authority itself.